Founded in 1996 by Keven A Bentley, our Chairman, we are a UK and International Lloyd’s Broker focused on niche markets. Our business has been built on the specialist knowledge of our team with a good proportion of our business being placed under various binding authorities and facilities. Lonsdale is backed with paid-up capital. 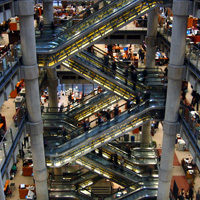 This degree of financial security affords us the confidence of the Lloyd’s and London Markets and enables us to fully represent the best interests of our clients to secure contracts at the best terms available. We are a registered Lloyd’s broker and authorised by the Financial Conduct Authority. We are also members of London & International Insurance Brokers’ Association (LIIBA). Lonsdale Insurance Brokers Limited are authorised and regulated by the Financial Conduct Authority. Lonsdale’s registration can be viewed on The Financial Services Register.